The threat of China as a rising economic and military power (China holds in its hands billions of dollars in American debt and is challenging long-standing American supremacy in the region of Asia). America’s $ 16 trillion debt as a threat to national security. Even the world’s most powerful nation can eventually spend itself into bankruptcy. The most serious threat to America’s national security is the sins of the nation and the forsaking of God’s laws. America was original founded as a Christian republic. It’s founding fathers made an agreement with God to live by His laws. For over two hundred years, Almighty God has blessed and prospered the United States because of its adherence to the Ten Commandments and the Bible as a basis for our civil form of government. The majority of the framers of the U.S. Constitution were men who read the Bible and practiced its principles. They understood the character of the people of this nation had to be in line with God’s spiritual laws in order for the country to prosper. But over the course of many decades now, America has backslidden and departed from its Christian character and has become primarily a secular nation – no longer believing in the living God that prospered it, and having no use for His spiritual and moral laws. As a result, the blessings of God have increasingly been lost, and the curses of God in Deuteronomy 28 have overtaken us. Because God holds a nation accountable who claims to be “Christian” by honoring and representing Him, the curses of breaking its covenant with God are being fulfilled. Moses prophesied to Israel of the blessings and curses of obeying or breaking God’s covenant in great detail in the Book of Deuteronomy. I believe these same blessings and curses apply to America today. The curses America is experiencing today – economic problems, national catastrophes, and so on, are directly related to America’s forsaking of God. Will America repent before it’s too late? Because God is merciful and patient, He promises to turn back the curses upon America if it will turn back to Him. Let us continue to pray for President Obama and the leaders of the United States to repent and return America back to God before it is too late. If we will humble ourselves and seek His pardon He will heal our land. Let us also examine our own lives and repent of our own personal sins. Every one of us has a personal responsibility to live by God’s laws if we would hope to be happy in this life and continue in His blessings. Amen. 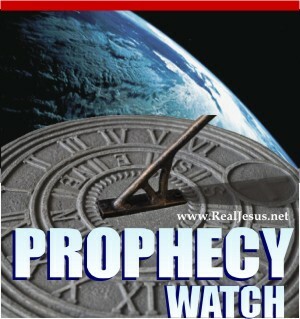 Categories: PROPHECY WATCH | Tags: 2 Chronicles 7:14, 2013, America, Barack Obama, bible prophecy, Blessings, Covenant, Curses, Deuteronomy 28, God, Holy Spirit, Jesus Christ, Messiah, Middle East, National Security, National Sins, Religion, Repentance, Threats, United States, Yeshua | Permalink.